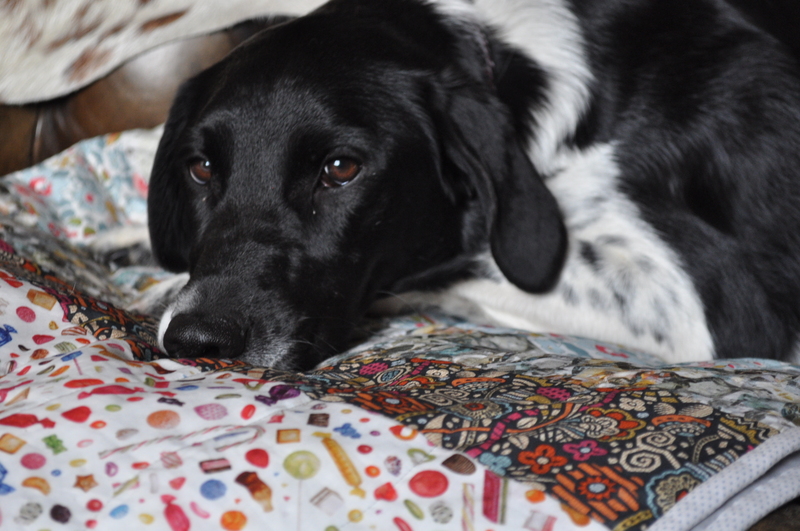 Much as I love this dog, I don’t really make quilts, especially not quilts made from Liberty tana lawn, for the benefit of my pets. Instead, I go to the local charity shop once every few months and buy up some used blankets which I put in their beds and, once they have been chewed, ripped to shreds or made ‘dog smelly’, I dispose of them and go back to the charity shop. However, Flo had other ideas and took advantage of the fact that I was doing some artistic ‘draping’ for purposes of photography to dive on top. Although I used the fence around the chicken hut to lay the quilt over, the chickens don’t seem to feel the need to lay on soft blankets so the quilt was safe for the outside shots. As a point of interest and not really relevant to this blog post, one of the words I have soooo much trouble with in French is ‘poulailler’. Now, most people could probably survive without ever having to say it but, as I keep chickens, and as it means ‘henhouse’, it is a word that I sometimes need to say, much to the amusement of anybody French that is listening at the time. The other word I have difficulty with, which also contains lots of the letter L, is ‘rouille’ as this also necessitates rolling the ‘r’ in front before twisting your tongue around the ‘ou’ sound and that double ‘L’. As ‘rouille’ means ‘rust’ it is a word that, for various reasons, I do find myself using quite frequently. Anyway, I digress. As suggested by several of you when I asked for advice on this particular project, I quilted it using wavy lines which I think works well. Somebody said they would look ‘organic’ but, as I didn’t mark anything out apart from the distance between the lines and really just followed my (wonky) eye down the quilt, vaguely trying to echo the line before, I think that might be quite a flattering word for it. I’m going to stick with it anyway. 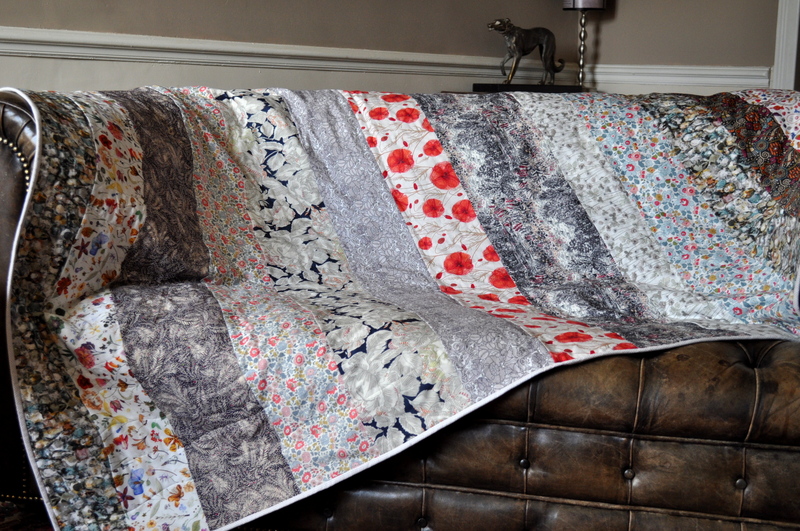 It appears that one of the advantages of using bands of fabric the width of the quilt means that, when folded lengthwise and placed on a sofa or chair or wherever, you are able to see the full range of fabrics used which is not always the case with more complicated designs. Persuaded by a friend of mine to start a new quilt together, I have resolved to finish the last bit of hand quilting and add the binding to one I had almost completed but, as I had draped it over a chair in my workroom, it became to look like part of the furniture so I sort of considered it finished. It wasn’t! 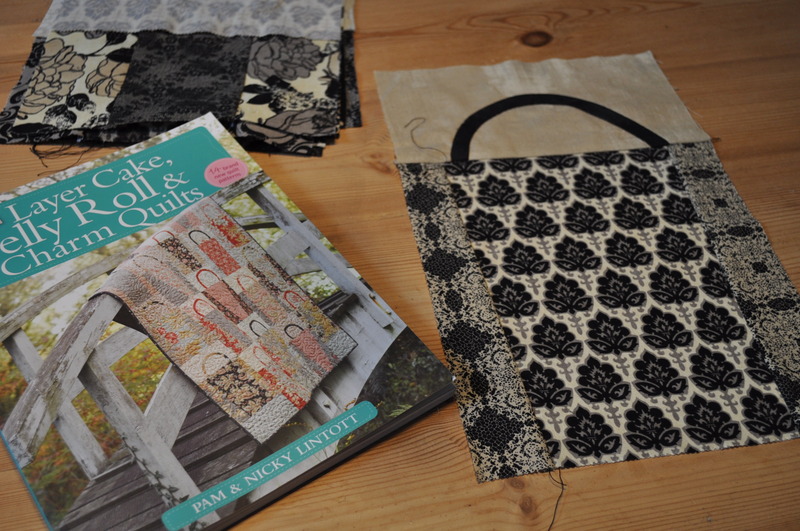 So this weekend should see the ‘handbag quilt’, first blogged about an embarrassingly long time ago, completed and then I won’t feel guilty about starting a new one. 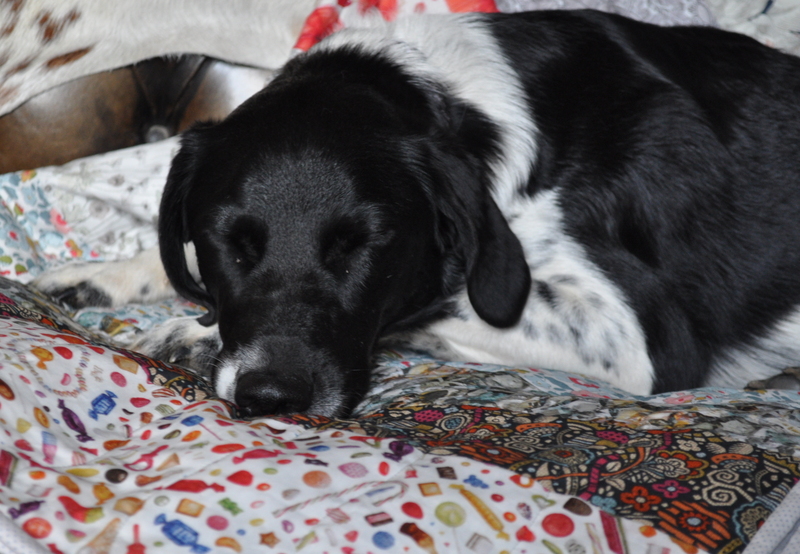 Meanwhile, I must remove a dog from a quilt. No use pretending to be asleep. I went to a craft and leisure exhibition on Saturday (a rare beast in these parts) but, instead of driving there on my own, I decided to go with my ‘atelier’ group (or craft group) as I thought it would be more sociable and also help in my ongoing battle with the French language. Luckily, it is quite a small group anyway and there were only nine of us going so we didn’t have to resort to a coach and went in 2 cars instead. Phew! Not only do I get travel sick in coaches but it would have made me feel really old – I don’t know why, I suppose coach trips just have that reputation. Not that the venue itself helped in the ‘feeling old’ respect as the vast majority were middle aged women – imagine the queues for the loo! It was a very early start and I had to concentrate extra hard on what everybody was saying all the time (because of the language, not because I’d forgotten my ear trumpet!) and, more to the point, I had taken a strong travel sickness pill so I was shattered by the time I got home and needed to be revived with food, wine and ‘Strictly Come Dancing’. Anyway, I had asked everybody not to let me buy any more fabric – as I could already stock a small shop – and also not to let me buy anything which would mean starting yet another new craft. 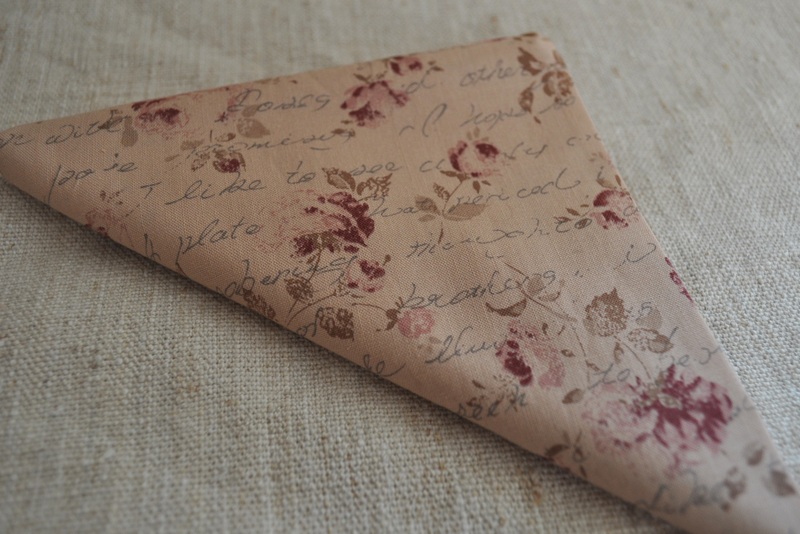 something with writing on it of course…. and something new to try! I don’t know whether anybody remembers but I decided to make a patchwork quilt for my daughter’s 18th birthday (memory jogger) How horrified I was when looking for the post and realised I started it last July! And how I laughed wryly when I read my own words and had written something like ‘oh, it’s a year away, no worries’. Well, it is no longer a year away, it is 4 months away. Not only have I only done about a third of the top but they’ve discontinued the fabric and I am having one hell of a job trying to find somebody with old stock. EEK!! I decided that there are too many distractions at home so, when I go to the ‘atelier’ (sewing group) on Saturday afternoons, I have started to lug my sewing machine with me so that I can get a few blocks sewn while I’m there. Of course everybody has to yell at me above the whirr of my Janome and, as the main reason to join the group was to improve my French converstion skills, I’m kind of defeating the object. However, I can now report that shouting loudly at foreigners doesn’t make them understand you any more easily. I wouldn’t mind but, as soon as I’ve finished this one, I’ll have to start another as there are only 18 months between my two daughters and now I know that’s probably how long I’ll have to allow to make her one. 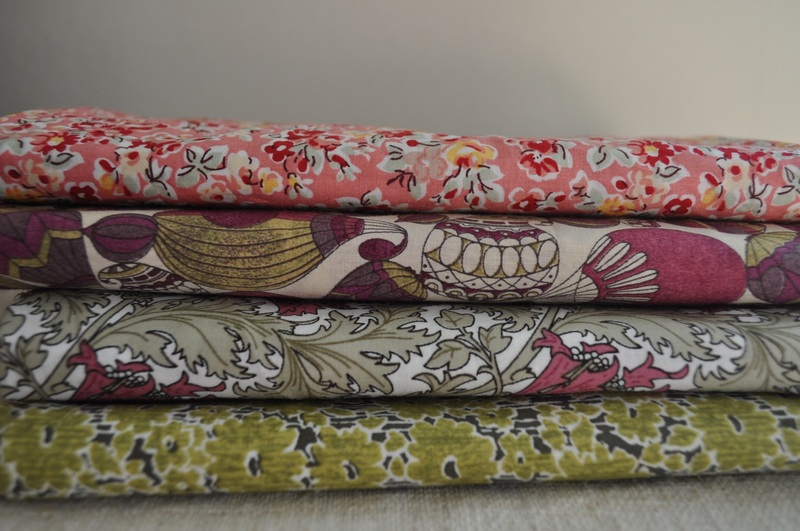 Must remember to get fabric that’s not about to be discontinued too. Smaller Stitches S’il Vous Plait! Well, for the past two weeks I have been showing the rest of the group how to make one of my hexagonal étui boxes and, as the written instructions are in English, I have been talking them through it in French. There have been some mistakes made! Partly because they are so impatient and keep getting ahead of themselves before I have shown them properly how to do it but, partly because I have been making them for so long the things that seem obvious to me, like not leaving a seam allowance when cutting out the gussets that hold up the sides, aren’t obvious to anybody else. One poor woman had inserted them but they were so big the box sides opened almost flat. Of course, I’m sure none of it is due to my command of the French language. In return I am being taught how to do ’boutis’ and, so far, I have been told off as my stitches aren’t small enough and the ever helpful Michelle kindly pulled all my existing stitches out and suggested I start again. The indignity of it. 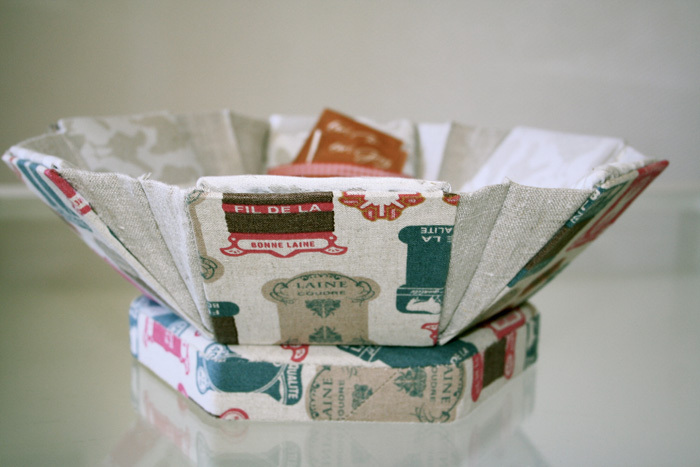 Although I do have trouble with tiny stitches – I don’t know why – I think I have become too reliant on the sewing machine. I can do them when they are ‘invisible’ such as on my boxes but for quilting purposes and, now boutis, I find it difficult. Anyway, I will do my homework and see if I can get them smaller and make her proud. As far as learning more of the language goes……the first week I sat next to the ‘doyenne’ of the group who everybody calls ‘Mamie’ (gran) – can you imagine doing that in the U.K. and not getting a slap? Anyway, she is 88, originally Spanish and insisted on talking to me with a knitting needle clamped between her teeth. I hope I nodded in the right places but I doubt it. As far as I’m concerned, the most useful word(s) in French is ‘d’accord’ which sort of means, ‘o.k.’, ‘alright’, ‘oh, I see’ and other things along those lines. I use it all the time. When I still lived in the U.K. 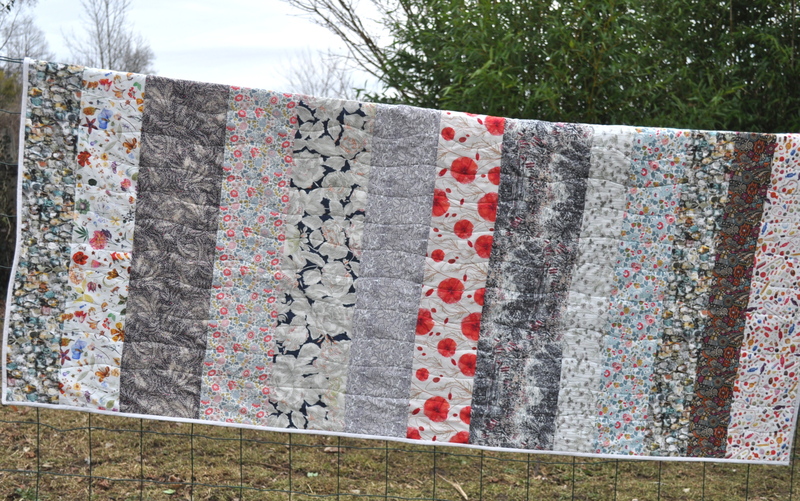 I belonged to a patchwork group which met every week and a whole lot of chatting and oohing an aahing over fabric went on and, sometimes, we even used to make stuff. I have missed this camaraderie amongst the fat quarters so I have been meaning, for the past 6 years, to join a similar group here in France. Ironically, given my frequent tirades against La Poste, it was one of the post office clerks who discovered I was a fan and offered to take me along to a local group. Most of my quilting, I have to say, is done by machine as I have neither the patience nor the teeny tiny stitches to do it by hand but my main reasons for wanting to belong to a group are the opportunity to improve my ‘chatting’ skills in French and because it’s one of the only places still left to me where I can be one of the youngest there! The level of skill of some of the women there is frightening. I am hoping to learn some new crafts. 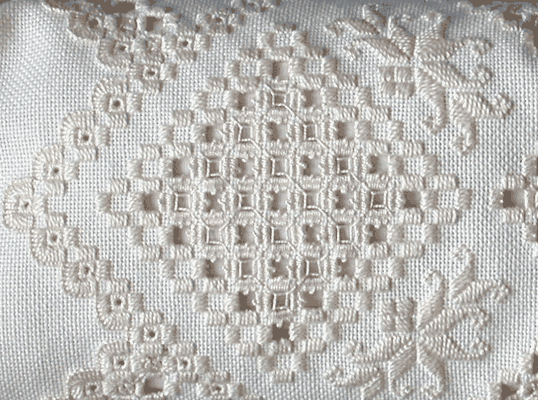 Hardanger embroidery or ‘ardanger’ as we say in France (!) 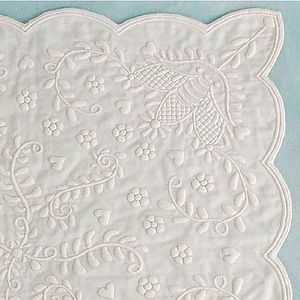 is a form of embroidery traditionally worked with white thread on white even-weave cloth, using both counted thread and drawn thread work techniques. As somebody who almost checks herself into the nearest institution when attempting cross stitch, I’m not sure this is going to be one for me. What I do fancy, however, although it looks incredibly fiddly and difficult, is boutis. 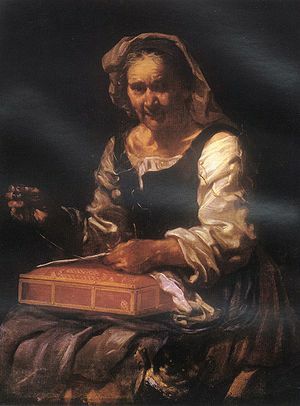 A tradition in Southern France, the art of boutis was highly prized in the 17th and 18th centuries. 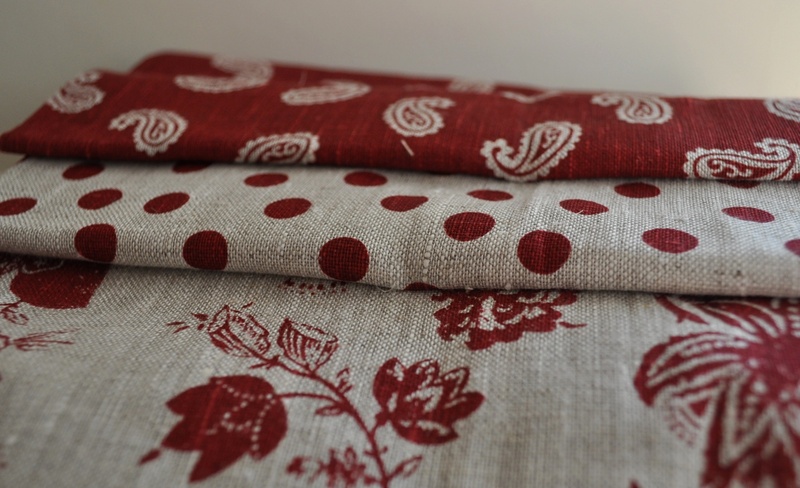 Boutis is embroidery on two sewn cloths, giving printed or plain motifs a raised pattern, and filled inside with a layer of cotton. Ooer! 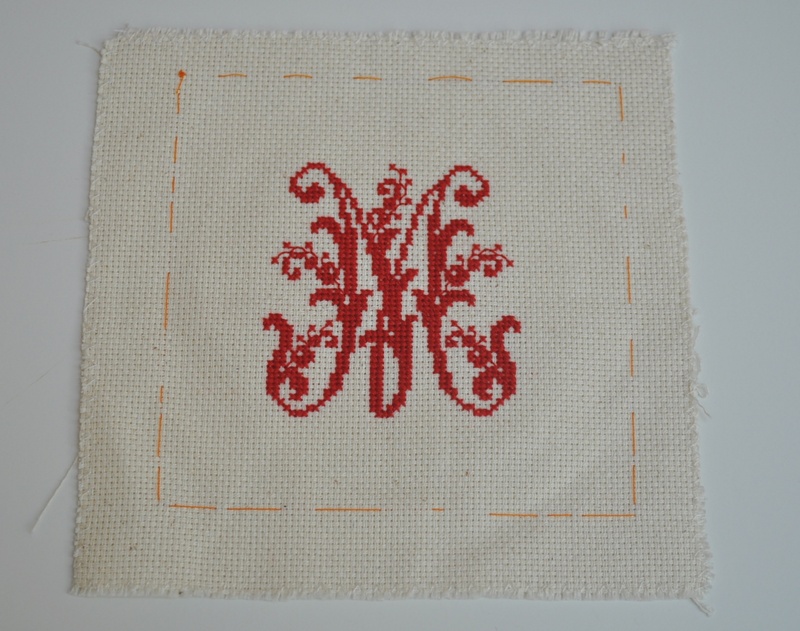 Tiny, tiny stitches, fiddly patterns, plain white cloth – bring it on! Well, I’m going to give it a try anyway if only because it is traditional in this area and I feel obliged. Also, I need something to do ‘à la main’ whilst I am with the group so I might as well give it a go. It will not be anything as complicated as the above. Yvette (the head honcho of the group) gave me some patterns to trace. I did laugh. 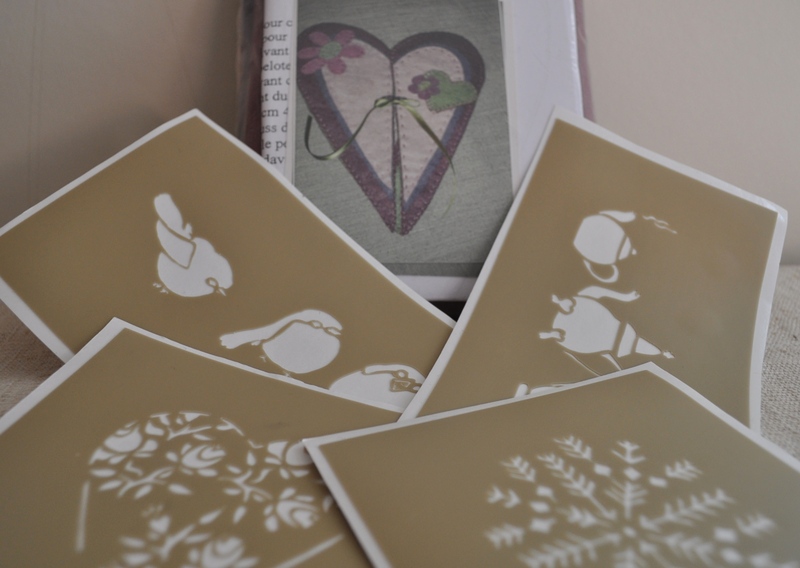 One of them is a big heart, adorned with flowers and there are two birds in the centre. As if! I am going to try a single heart! I’ll let you know how I get on.